Portfolio Categories: Case Studies, Marine Vapor Recovery, Turnaround Services, Vapor Control, and Vapor Scrubbing. A Mid-West refinery was preparing for an internal pipeline maintenance project and was exploring options for how to take the vent and a refined product pipeline out of service to sustain refinery production and continue to ship refined project to market. Vapors emissions had to be controlled by a USCG Certified Marine Vapor Recovery System. Vapors and order issues were a major concern. Being in compliance with vapor emission limits was necessary. The refinery may be able to sell product from their dock, greatly increasing flexibility and cost effectiveness to potential customers. 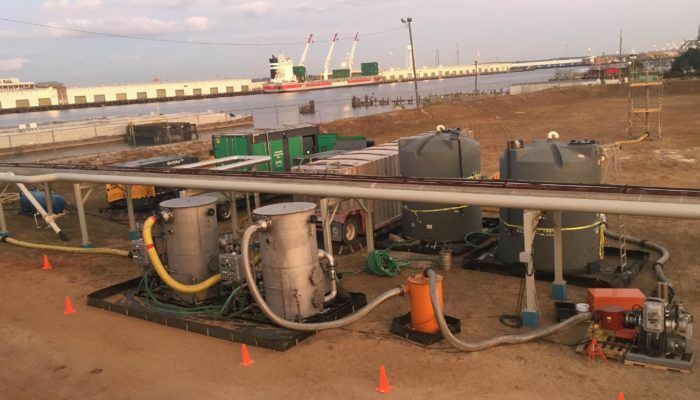 Envent proposed a temporary, portable United States Coast Guard approved Marine Vapor Control System (MVCS) to load the product into barges at the North side of the refinery. The barges would then float down river and offload at the South side of the refinery. This eliminated nearly all of the risks associated with the pipeline option. Envent’s MVCS is all pre-certified by the US Coast Guard, setup and operational testing occurred within a few days’ time. Upon project completion, the MVCS was quickly removed without a trace. The Envent system consisted of a Dock Safety Unit (DSU) with a vapor scrubber and Envent Emission Control Systems (EMECS). 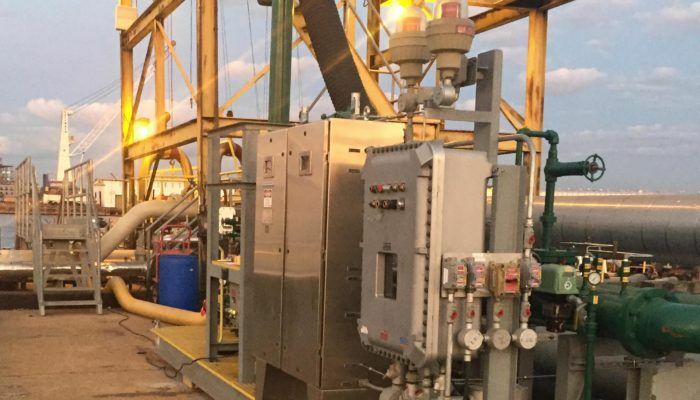 Not only did Envent’s MVCS control vapor emissions to achieve compliance and eliminate the risks associated with the pipeline option, it reduced refinery cost and minimized resources. The refinery now has a 5 year certified Envent Dock Safety Unit (DSU) and MVCS they call back on site for any emergency loading. The refinery was able to continue to load and ship product to market without interruption. The net result was estimated at $3 Million in lost opportunity costs if Envent was not able to engineer a system that would allow the refinery to load ships.